I have used each of these and think that while they all have pros and cons, I'd highly recommend each of them. I loved the simplicity, clean look, and color palette of the Simplified Planner, but I also felt like the daily one just had so much more space than I needed. I love that Erin Condren is so easily personalized, and can be horizontal or vertical, but I'm not a huge fan of their colors and fonts. Lilly Pulitzer is the mid point with lots of space and a few "cutesy" features that don't serve much purpose other than being adorable. I used to draw a checklist on the side of each day and it had plenty of room to write homework, groceries, etc. The planner I'm using now is the Fringe Planner and so far so good! It's smaller than I usually go for, but being that I've graduated and all I need it for now is the blog, it serves it's purpose. Plus it has lots of extra white space for lists and things, so it was a great impulse buy! If you're looking for a planner for 2017, I would highly recommend these whether you're a student, work a full time job, or are a stay at home mom! If you're in the market for a blog or business planner, these are some great options! I recently found the content planner and I think it's so great, especially for people starting a blog. It helps you plan out content, social media posts, and campaigns or collaborations you're working on. I also love CoSchedule for the same reasons. It allows you to have everything in the same place, but you can move everything around easily since it's online and not written down in ink. The ease of scheduling everything and knowing it will post automatically allows you to work weeks ahead and it makes me feel so on top of things. I don't know about y'all, but I like to have my schedule on me at all times. Plus, if I don't write it down I'll never remember it. I love the reminders app because it's (a) free, and (b) can remind you at a specific location instead of just a time. I set up my grocery list as a reminder when I get to the store, my packing list to pop up when I get home and need to pack for a trip, and on and on. The Google Calendar is essentially a virtual calendar, so it isn't anything life changing or crazy, but I love that I can share my calendar with people or have access to it no matter where I am. It also saves things from my email so I can add move tickets, hotel reservations, and all of those things automatically. I am not ashamed to say that I am obsessed with planning out my time. I think it makes the week go so much more smoothly when I can make sure I account for everything and schedule time to get everything done. As far as meal planning and making grocery lists go, it saves so much time and money because you aren't buying things you already have at home or overbuying things that will just go bad in the fridge. We try to plan out what we'll cook and buy ingredients that can be used for both so we make sure it all gets used up. Plus, having a centrally located planner helps with things like bills too because you see them all the time and never forget a due date! We keep both our grocery list pad and our weekly planner in our kitchen and it works great! 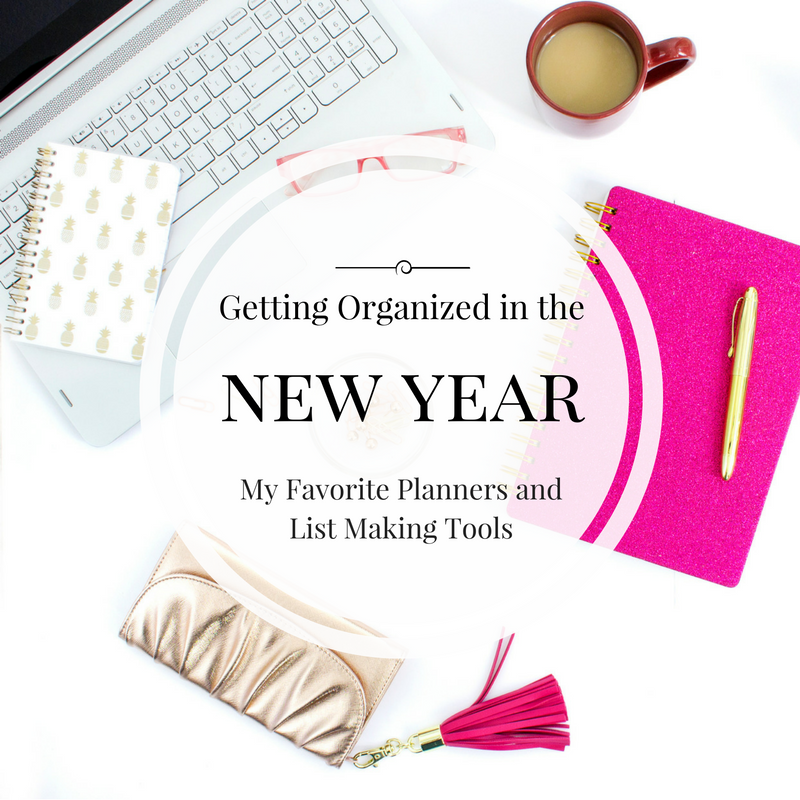 What is your favorite planner? How do you organize your blog or business?